The Amazing Spider-Man is a jumble of clever ingredients thrown into a pot, stirred for two hours and yet never managing to produce that ideal flavour. There are moments in Marc Webb’s adaptation that are fantastic, as good as anything Raimi brought to the best of his films in the series, Spider-Man II. However, there’s also simply too much going on here for its own good. Running for two-hours-and-a-quarter, the film feels like one-part origin to two-part stand-alone adventure, unsure whether it should it is trying to rush through the motions of one of the most iconic origin stories ever told or if it’s trying to bring something a bit deeper to the table. When it gets going, it’s a solidly entertaining piece of film that does try to do something just a little new with the superhero formula, but it suffers from the same identity crisis as its lead and struggles to really find its own voice. 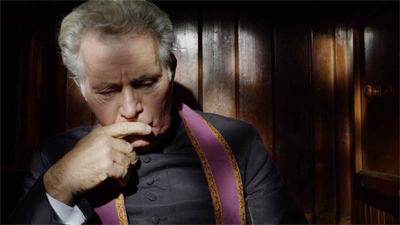 Stella Days is held together by a sterling performance from Martin Sheen and a boldly challenging look at the Irish cultural mentality. Indeed, it’s easy to read this tale of a small-town parish priest trying to build a cinema as a metaphor for Irish cultural philosophy. In particular, with its distinctly American star, Thaddeus O’Sullivan’s movie seems like a bold challenge to what might be deemed Irish cultural xenophobia, the notion that our culture must be distinctly and completely independent of the world around us. Instead, Stella Days rather boldly and romantically suggests that Irish culture is not defined by independence or autonomy, but by its willingness to engage and accept the world around us. While the movie might occasionally indulge in a bit too much sentiment, it’s hard not to like that sort of uplifting and engaging idea. 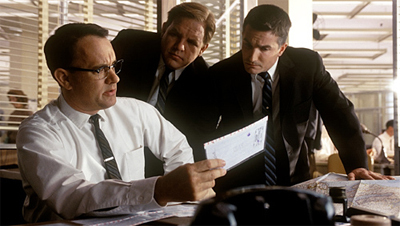 Catch Me If You Can is an enjoyable little film which feels like Spielberg indulging in some sixties nostalgia, while allowing Leonardo DiCaprio to scratch yet another name off his “greatest living directors” bingo card. It’s always impressive when a movie running for two-and-a-half hours just breezes by – some might suggest that such a film is “light”, and it’s a hard position to disagree with, but I think it marks a nice change of pace from the darker movies Spielberg was directing during the first decade of the new millennium. It’s not a classic, but it’s an enjoyable piece of cinema, crafted by talented people, that moves almost as fast as its lead character. I wrote in my review of the original version of the movie that the two-and-a-half-hour cut captured a great deal of the insanity that seems to have been a defining characteristic of the Vietnam War, with the movie feeling like a crazed surrealist trip into madness, a collection of abstract meditations on the American condition that felt compressed at over two hours. If that is the case, Apocalypse Now Redux captures another aspect of the conflict. It’s now less insane, but the instability and absurdity appear more systemic and endemic. It’s bloated, terrifying, harrowing and seemingly eternal. Much like the war itself. 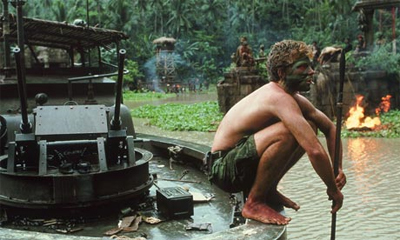 Apocalypse Now was what might be described as a “troubled” production. Francis Ford Coppola was never intended to direct the film, which ran into trouble with local weather and local politics, undergoing script changes on a daily basis, an overweight and overpaid Marlon Brando who refused to read either the script or the book it was based on (leading Coppola to read it to him), Dennis Hopper’s drug addiction and countless other factors. Actor Martin Sheen at one point had a massive heart attack and had to walk a quarter of a mile for help, which Coppola had to cover up (claiming he collapsed due to exhaustion and filming with extras and voice doubles) for fear of losing funding. Al Pacino had been considered for the role, but had the foresight to turn it down, with Coppola suggesting, “Al would do the film, if we could film it in his apartment.” If that’s true, he might be the smartest person associated with the production. I mention this, because I think a significant amount of that trouble seems to feed through the film. There’s a sense that isn’t a safe production, which is somewhat fitting, given the subject matter.